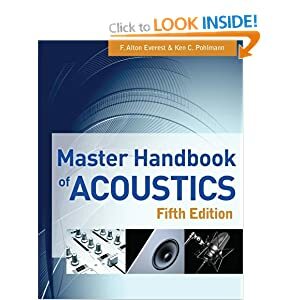 I have a couple of reference books for those interested in room acoustics, sound principles etc. I can recommend. 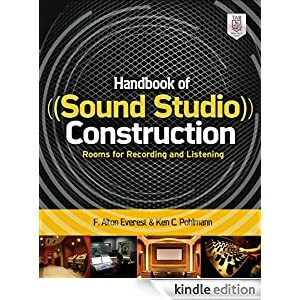 They have helped me understand everything I need to know and more about audio, rooms, placement, treatment etc. etc. etc. Great books worth their price for the DIY sections alone. The second book is the one to get if you are wanting the meat and potatoes of what to do for each type of room and the basics underlying the "whys". The first book is more for everything to do with the principles of sound and physics with more of the underlying math and physiological stuff. The demand is so overwhelming, I can see the queue of Aximoes from my window! That's not the type of 'mos I'd have thought would be queuing outside your window. I already have a copy of the first book. You DO KNOW how old I am, right?!?! Last time there was a queue and I was "it" was in the Lower Cretaceous. ...and shockwaves of "surprise" ripple around the globe! So what did you think? Pretty useful, eh? Yeah, lots of good stuff in there. I'm thinking about developing few plug-ins for music production software that makes use of some of the formula.